The BBE Pro speed hook and jab pads have a curved ergonomic design for maximum comfort and are made from leather for extra durability and a superior feel. They are ultra-lightweight for great speed and fitted with double stitched seams. The pads have a diameter of 7” (17.8cm) and feature shock absorbent layers of closed cell and EVA foam combination. They weigh 0.4kg (0.88lbs) and utilise a comfort fit anti-slip glove pocket. 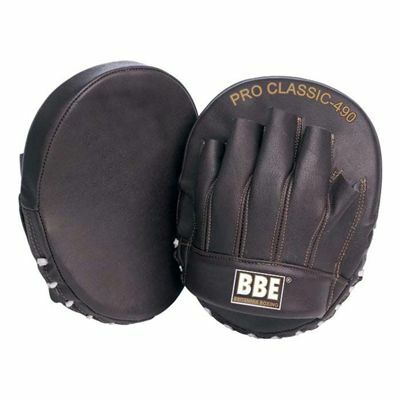 for submitting product review about BBE Pro Leather Speed Hook and Jab Pads.